P.J. Fitzgerald Insurance offers a complete range of insurance advice on life assurance cover, income protection cover, personal retirement a/cs, investments, commercial property & liability insurance, home and motor insurance and an insurance consultancy service for start up businesses. We offer a service for people starting up their own business, guiding them on what insurance cover they do need and what cover they don’t need. This friendly, personal service based business was established in 1969 and carries over 30 years of experience in providing the best and most effective products for our clients. 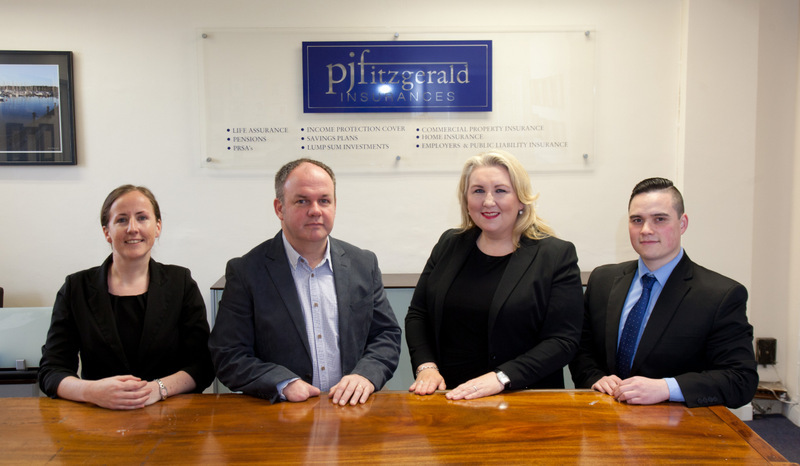 The business is run under the directorship of Padraig Fitzgerald & Lisa Lee Fitzgerald who operate a professional insurance service. As an independent broker not tied to any one company, we are able to offer the broadest spectrum of products with the freedom to select the most suitable for your customer.